Washed away and washed out clean and hard. 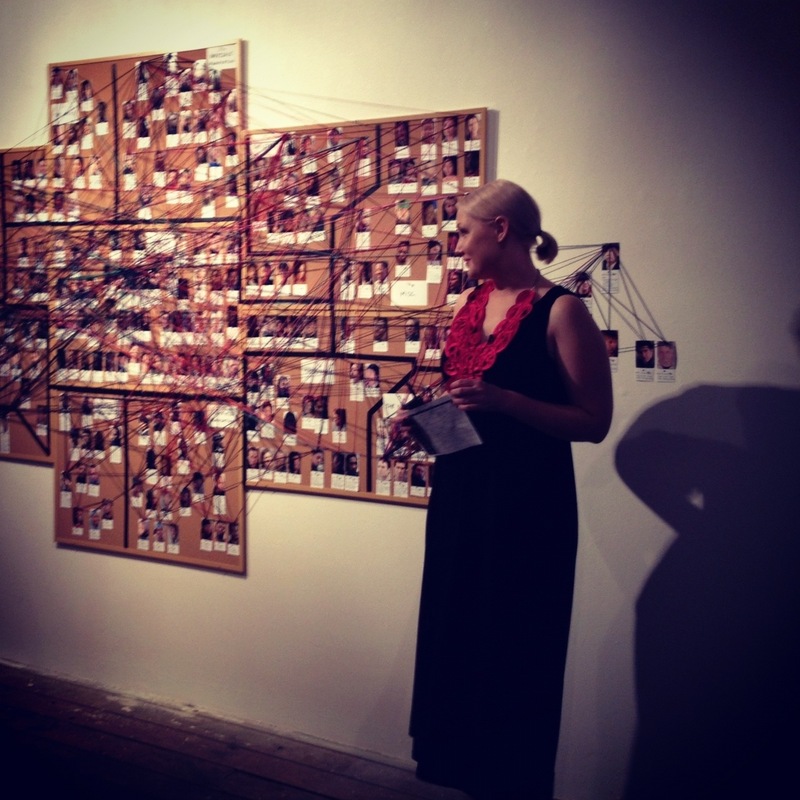 The Brisbane Emerging Arts Festival took place on February 18 between 6.00pm and approximately 10.30pm. There was some hundreds I don’t know quite number of people but a lot and they came and they saw and they drank and they danced and rhymed and they schemed. Reviewing your own program is almost an impossibility, you’re beyond a colleague-critique, your close to the bone. You want to think about what went wrong, but you also cling to what went right. Let’s take a strengths-based approach. Let’s acknowledge it wasn’t perfect, that there was more we could have done as we could have done more in every circumstance in our lives. But let’s also acknowledge that there was some gold and goodness. From the outset, people were up for it. They were lining up to get into the lift with Doubting Thomas, Fern Thompsett and Betsy Turcot, for a ten minute ride of their lives. They were clustered around Julie-Anne Milinski’s amazing garden and the animators of Rhyll Tonge giving it life. Even the tap dancing harmonica playing audience couldn’t damp the spirit, we all wanted to know what they saw in that crazy garden. Betsy and I dusted off some old tunes and gave them some new life, remix, rewind, replay and relive. Outside, Fern/Thomas/Scott, took the crowd for all it was worth, standing out in the night air, under the sky dusting confetti and soap boxing. And that energy continued, people squeezing back into the lifts for more goodness/screaming, while poets made their way up and down and up and down the four flights of stairs. If poetry was there to fill the spaces, then we filled it good. Naturally, I can only speak for myself. For you, however, I don’t know what it was like. If you came, then I owe you my kindest thanks because good poetry is good audiences and good audiences is good people. 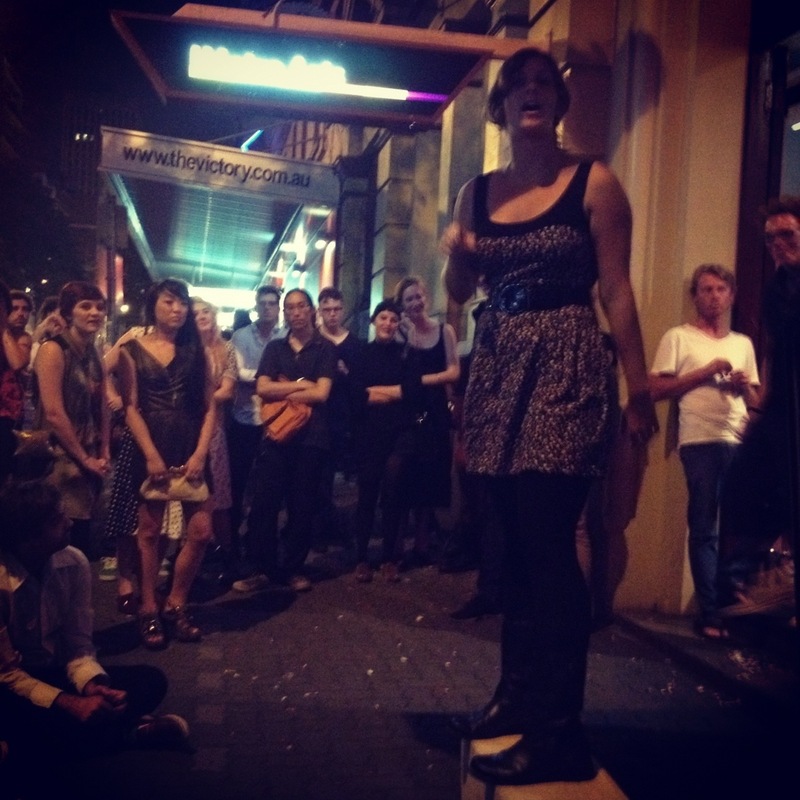 Brisbane Emerging Arts Festival 2012. Thanks for having us. I found out about this too late – regretting having missed it. I hope I can make the next. It was a great night! Sorry you missed it; you can always come along to Jam Jar poetry today to see some great spoken word, or Betsy and I will be doing She Stole My Every Rock and Roll for the Anywhere Festival in May! Hope to catch you some time!